On July 15, 1979 President Carter returned from nearly two weeks at Camp David to give a speech that would be remembered as a highlight — and some might say a lowlight — of his Presidency. The speech is often the subject of such caricature that it gets remembered as far different than it was. Called the “crisis of confidence” speech, it got morphed into the “malaise” speech (though Carter never used the term) and was trashed by his opponents, both Ted Kennedy and Ronald Reagan. The second path was one leading to energy independence, a focus on alternative energies, and a renewal of the American community. For Carter this was a moral issue. America’s future depends on the American people putting values ahead of greed, and coming together to face a world where we had become susceptible to oil shocks, facing economic uncertainty and realizing that the government couldn’t solve America’s problems. He called the country to come together and take a long range vision of what is needed, avoiding the temptation to turn to cheap and illusory solutions. If you don’t want to watch the speech, you can read it here. Reagan’s vision was seductive. First of all, Reagan was a good man and people trusted him. He clearly believed what he said. He also was telling Americans what they wanted to hear. The problems we face aren’t ones of values and the need for difficult choices. All we need to do is cut taxes and let the American people shine and we’ll be that “shining city on the hill” once again. When Reagan came into office he removed the solar panels Carter had installed on the White House. He cut taxes. The economy grew. But yet, it was indeed an illusion. The economy would have grown no matter who had been elected, deep oil price cuts injected massive amounts of money into the economy. The recession that was so bad in 1980 had been induced by Paul Volcker’s monetary policies; once inflation was tamed, that and lower oil prices were a certain path to ending the recession. But Reagan and the Democrats — this was a bi-partisan illusion — then engaged in a massive build up of debt. US government debt to GDP ratio went from 30% to 60% in the 1980s. 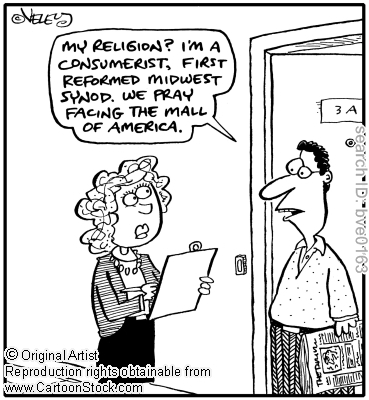 That hyperstimulated the economy and started us down the road of having an unsustainable debt-based consumer economy. Consumer debt started to rise too. Total debt (private and public) had tended to hover around 150%. In the 80s that debt zoomed up to over 250%. The economic boom associated to Reagan was simply a country charging on its credit card, going into debt, and thinking things must be good because they could buy so much stuff. Of course this continued. Government debt growth slowed in the 90s, but private and consumer debt kept soaring. Debt and low taxes on the wealthy produced not jobs via trickle down economics, but bubbles as investors chased the dream of “something for nothing.” Americans both left and right thought that the good times would last forever, even as debt mounted to nearly 400% of GDP overall (public and private). Now we’re in a crisis of massive debt, fears of long term energy crises, and no clear way to get back on the path of sustainability. It’s led to wars and our political system, once the envy of the world, seems defined by partisan pundits who too often see compromise as something for only the weak. Given that the US system can only run via compromise, it’s a path towards political stagnation and fragmentation at a time when we need to come together. If we had listened to Carter in 1979 and saw the country’s problems as rooted in a weakening of the core values of community and sacrifice in favor of consumption and greed, we might now be in a much better place with a far better future. Yet we didn’t. But we can still learn from Carter’s words. Our problems are primarily about values and ethics, not about economics and policy. Focus there first and come together as a country true to our core principles — values shared by the left and the right — and we can start to rebuild the American dream. We won’t know for sure the results from France until the second round of voting is completed on May 6, but Francois Hollande’s surprising win on the first round with 28.6% to 27.1% makes him the favorite on May 6th. First, a bit about French Presidential elections. They are held every five years and usually draw a variety of candidates. The election is only won on the first round if a candidate receives a majority of the vote: 50% plus 1. Otherwise, the top two candidates hold a run off two weeks later. Never has a sitting President actually not finished on top in the first ballot, though often with very low vote totals. In 2002 an especially angry electorate gave the top candidate of the right, Jacques Chirac, only 19% of the vote and Socialist Lionel Jospin 16%. The problem was that far right Jean-Marie LePen got 17%, thereby creating a meaningless run off. The left couldn’t vote for a neo-fascist so they plugged their noses and voted for Chirac, who won with 83%. Otherwise, the system has worked pretty well. Marine LePen, daughter of Jean-Marie, focused on the traditional theme of the National Front: Fear. 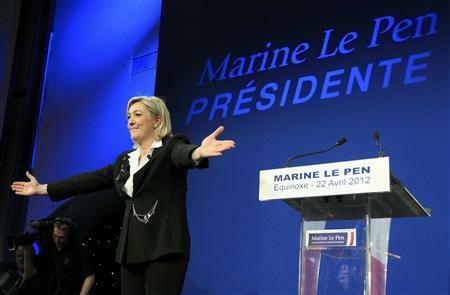 Her combative tone against foreigners, Muslims, social change and France’s future helped her double the total for the neo-fascist party over her father’s 2007 numbers. But National Front voters are fickle. You might think that they’d go to Sarkozy, but historically about 40% stay with the conservative candidate, 30% sit out, and the rest go to the Socialist. That’s because National Front voters hate foreigners but some have economic views more towards the left. It’s possible that the large vote total for LePen will give Sarkozy a greater proportion than usual; if so, he could pull off a surprise. It’s also possible that some people who prefer Sarkozy to Hollande might have voted for Hollande on the first round to send a message. They also have two intense weeks of campaigning ahead. 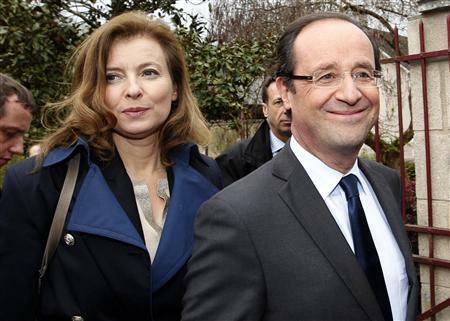 Still, the odds now favor Hollande. In play is the very approach the EU takes to the Euro-crisis caused by weak economies in the south. Led by German Chancellor Angela Merkel, the EU response has been to push for austerity from debt ridden countries. The idea behind this is that debt is such a cancerous and pernicious force when it reaches levels over 100% of GDP, but no economy can be fixed without first reducing debt to GDP ratios and getting the budget under control. Moreover, that’s the only way to protect the viability of the Euro. It’s been a hard sell. The economic impact of austerity has been profound in Greece, Spain and elsewhere; it’s led to an intensification of the recession. That cuts revenues further and creates the danger of a downward spiral. Enter Hollande. He is of the school that says that when in recession austerity is not the proper approach. The main goal is to get the economy growing again. Austerity is how we responded to the Great Depression and it only made the depression deeper and longer. He wants to revisit last year’s EU agreement and rethink the approach the EU is taking to dealing with the current crisis. Hollande and his "companion" Valerie Trierweile - either way France will have an attractive "first lady"
Sarkozy’s camp is arguing that the Merkel-Sarkozy (Merkozy) agreement is necessary to save the Euro, and that a Hollande win will rattle capital markets and threaten another major crisis about the future of the Euro. The hope is that while the French don’t like Sarkozy’s glitzy style and blame him for not finding a way out of the economic doldrums, they’ll fear Hollande will make things worse. It gets complicated. 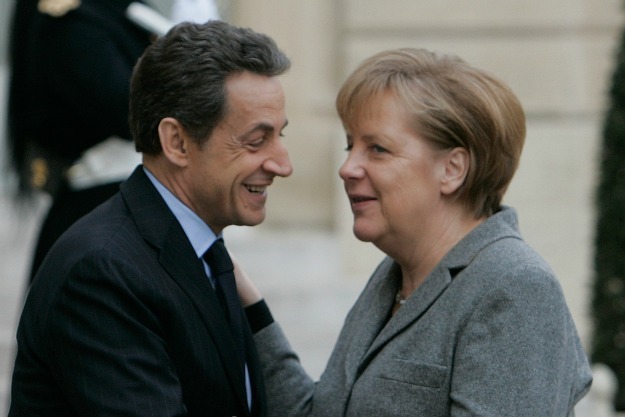 Many argue that Sarkozy and Merkel’s relationship is paramount, and that a Hollande victory would risk undercutting the Franco-German “engine” of the EU. Others say that Sarkozy has given Germany the leadership role in Europe by bending to Merkel’s will and that Hollande would be a better heir to De Gaulle’s idea of grandeur and leadership for France. He’d be a leftist foil to Merkel’s conservative economic bent. This isn’t just about Greece. French debt is sitting at 90% of GDP and rising. Many in France fear austerity to cut that debt will hinder growth. Hollande does say debt must be cut, but also believes the economy needs to be stimulated. His approach is less like Merkel’s and more like Obama’s — start with a stimulus, try to get the economy moving, and once growth has returned then cut. But what if growth doesn’t return and you simply end up with more debt? And for all the grumbling about Merkel’s austerity, the German economy has weathered this crisis better than most. Indeed, northern Europe, particularly Scandinavia (if you drop Iceland) and Germany have fared better than others in the West. German debt has also risen, they have an 80% debt to GDP ratio, but the Social Democrats on the left and Christian Democrats on the right agreed to a balanced budget amendment to their constitution and have focused on debt as the major problem. Yet German success doesn’t prove that their approach is best. They also did not cut regulations in the financial sector when so many others did, they kept their industrial base alive, and still have a strong current account surplus. Germany’s fundamentals stayed strong, the French fundamentals are weaker, and Greece is fundamentally flawed. So this election matters. 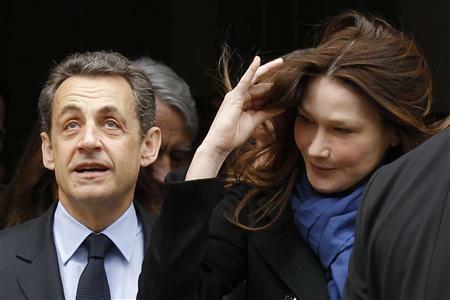 A Sarkozy re-election means continuing along the “Merkozy” path with the hope that her economic approach is right — cut debt, then rebuild growth with a stable Euro. German leadership in the EU will continue, at least until this crisis passes. If Hollande is elected there will be a vigorous debate about the German way on dealing with the crisis. Countries like Greece and Italy will have hope that maybe their future isn’t a dramatic drop in their standard of living to pay back debt, but a looser approach designed to bring back growth. 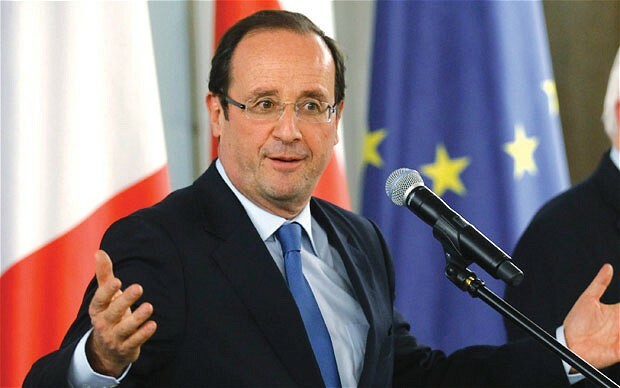 No one knows what Hollande will really do or how Europe will react. No one can be sure that Merkel’s approach is right, or if austerity is poison. But this election will make a difference, and frankly, I’m not sure who I hope wins! I like Merkel and think the German approach is pretty persausive. But…if it’s wrong that could doom southern Europe and harm the EU overall… Interesting times! Facebook is wonderful. Friends post news stories, funny links, and often inspirational gems. One link someone posted purports to be the secret to happiness; if you can do what this post says, you will be happy! All you have to do is give up 15 things: 15 Things you should give up to be happy. 15. Give up living your life to others’ expectations. Most of these are pretty self-explanatory. Giving up attachment, the post points out, does not mean giving up your love for others and your desire to help. To me it’s the capacity to detach from the context and understand it all in perspective. Yet as I contemplate the list I started to think about how these sorts of ideas and messages are being spread on Facebook and other forms of social media, and where that might lead. I went to the website for “purposefairy.” It turns out that it is the work of a Romanian born woman named Dana. The last post appears to be almost a year old (the one linked above). Other posts are mostly lists, like this one detailing what happy people do differently than unhappy folk. The comments on the most recent post are almost all from within the last couple weeks. There are 189 comments, only five seem to come from a time close to when the list was posted. That means that her post on happiness probably started getting spread on Facebook just a few weeks ago — most of them were just in the last week. She’s shifted focus from a blog to social media, and the ideas have taken off. There are similarities between the purpose fairy and “Empathic guidance” a woman named Sharon who also has a facebook page. I’ve been reading her blog for some time. She mixes inspirational facebook ideas with a more sophisticated commentary about the state of the world/humanity on her blog. Empathic Guidance sees the world starting an era of transformation, and she connects personal change with global change. It’s a powerful mix. Purposefairy is more focused on advance on relationships and personal well being. Whereas Empathic Guidance is listed under “community”, Purposefairy is under “health and wellness.” Empathic guidance is liked by 1195 people, less than Purposefairy, but her facebook page started recently, January 24, 2012. Purposefairy’s began on February 23, 2011. My point? I think Empathic Guidance (or Empathy 2012) is right that something is changing. I also believe that Facebook and other forms of social media are only starting to have an impact by spreading ideas and connecting people across boundaries. The boundaries can be geographical, cultural or temporal — across generations. Empathic Guidance alikens this to an “awakening,” and that seems a good metaphor. People are starting wake up! Most of the time people think about the political or community/social aspects of social media. You stay in contact with friends, you can build connections for political action, and campaigns tweet and twitter. But spreading messages about psychological well being, seeing the world from a different perspective, and emphasizing human ethics is a powerful counter to the way messages of consumerism, envy and blame have created self-defeating thinking. People have started to see themselves as victims in a cold world where one struggles to find meaning and contentment. Discontent and dissatisfied, unable to find true joy in the competitive materialism of the modern world, people too often try to find something to blame for perceived deficiencies in their lives. People blame their boss, their job, their spouse, their kids, the ‘system’ (the right blames big government, the left blames capitalism), big business, the poor, the rich…everyone but themselves. Yet where we have real power is in our own lives, and our own thoughts. Everything that happened to us until now, happened because of the choices we made, because of our actions, and everything we have felt, we felt because of how we chose to process everything that came our way, because of our attitudes toward everything and everyone, and whatever we choose to focus our attention in this moment, and whatever actions we choose to take, will eventually determine how our life will look in the next days, weeks, months and maybe years. It’s not faith, it’s not bad luck, it’s not the horrible people that keep showing up in your life… it’s only you. You and your perceptions, you and your attitude toward life, and toward every single person you encounter with. You see, our attitude toward all of them will eventually determine their attitude toward us, and how they will choose to treat us, while at the same time, our attitude toward life will determine life’s attitude toward us. Though my blog focuses on politics, I think there is more going on. Even if the economic and the political news seems distressing, there is also a growth of positivity, the rumblings of an awakening that can change the world for the better. That gives me optimism for the future. Now that Mitt Romney has become the presumptive Republican nominee for President, thoughts are turning towards his Vice Presidential pick. The best choice he could make would be Condoleezza Rice. First, a personal admission. I support President Obama in his re-election bid. But if his opposition were Romney-Rice, I’d take an Obama loss without too much dismay. Though Romney seems to have sold his soul to the right wing to get the nomination, most of his history shows him as a moderate. Rice is a foreign policy realist who helped craft the policy shift in 2006 that turned Iraq from an unmitigated disaster into a non-issue. The US didn’t achieve its goals, but we were able to get out — a Nixonian “peace with honor” (which had been crafted by another realist-academic, Henry Kissinger). Rice has the temperment, knowledge and background to be ready for the Presidency on day one. If Romney loses, this could catapult her to the top of the 2016 list of GOP possibilities. Unlike the current crop of uninspiring ideologues, Rice could reflect a Republican party more open, diverse, and pragmatic than before. While the right wing of the GOP makes waves, the nominations of both McCain and Romney show that the centrists still dominate at the polls. In 2012 a black woman as VP candidate would likely diffuse a lot of the negatives around Romney concerning gender and race. Yet given her background it would not be seen as a cynical attempt at a overtly political game changer. That was what McCain did when he picked Palin and it exploded in his face. Rice would be a safe pick, nobody would doubt her intelligence and qualifications. Team Obama has been riding the wave of improving poll numbers, a slowly improving economy and an opponent with high unfavorable ratings. The Democratic base is becoming more enthused, the GOP base is wary. Choosing Rice could inject real vitality into the Romney campaign. It would also signal to independents that he’s not beholden to the right wing of the GOP and will be focused on governing pragmatically. That could be enough to convince a lot of independents currently turned off by the ideologically charged GOP primary season to move to Romney. To me the choice seems obvious — if Rice wants the slot, she should be offered it. 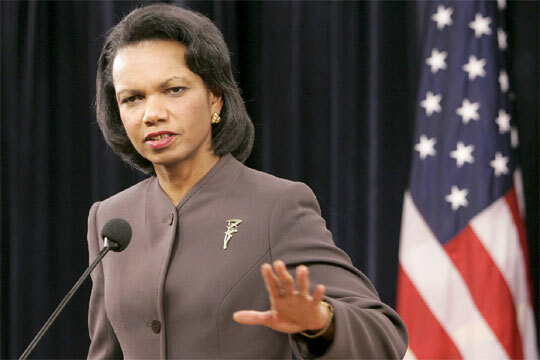 As speculation grows Rice is saying no — she does not want to be Vice President. That was also the position Joe Biden took four years ago. Does she mean it, or could Romney persuade her to run? I suspect he could persuade her — few potential VPs say that they want the job before it’s offered. Often the Vice President makes little difference in the race, and if Romney goes for the so called “vanilla” candidates like Daniels or McDonnell it probably won’t matter. Romney is unlikely to make a catastrophic choice like McCain did four years ago, but could really benefit his campaign by choosing Rice. This is Romney’s first “Presidential” decision. Let’s see how he does. 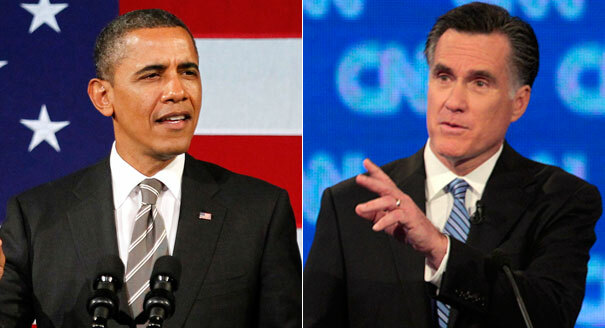 Now we know what the match up will be – Obama vs. Romney. That ends the first phase of the Presidential campaign. Now the focus is on fund raising, planning the conventions, and assessing what is likely to work in the fall. One thing that has to be done early in the campaign is to try to define your opponent. If the public associates a certain image with a candidate, it can stick: John Kerry was an out of touch elitist who windsurfs and likes France. The now debunked “swiftboat” attacks on his service had an impact and undercut the benefits his war hero status should have brought. Dukakis was a nerdy liberal intellectual who didn’t understand real America. The Obama camp will try to define Mitt Romney as the aloof out of touch millionaire who flip flops and takes no stand on principle because he just wants so bad to be President. If Romney tries to veer to the center and shed the more extreme sound bites of the early campaign it will feed the image of him as an unprincipled flip flopper. The importance of this for the Obama campaign cannot be overstated. In many ways Romney is a strong candidate. He is a moderate, his business experience appeals to independents, and his time as Governor of Massachusetts proves he can work effectively with Democrats. He is clearly no right wing ideologue and if the economy still looks bad in November, Romney is a safe alternative for centrists turned off by the right wing of the GOP. In other words, Romney’s biggest weaknesses are personal. It’s harder to define an incumbent. It can be done – both President Carter and President Bush the Elder were defined as incompetent and inept. The re-definition worked because the economy was bad — and that’s Romney’s hope for the fall. The Romney camp will claim Barack Obama is a failed President who has not united the country nor fixed the economy. Romney has tried to revive the attempt to define Obama as a strange leftist who may be a secret radical. That ultimately failed in 2008 and it’s extremely unlikely to work in 2012. 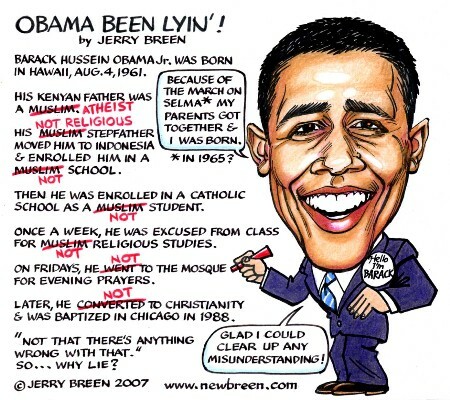 Recently Romney called Obama the “hide and seek” President, who is concealing his “real” agenda. That approach might fire up the base, but appears a bit desperate. After all, President Obama governed his first two years with a strong Democratic majority. If he was driven by a particular agenda, that’s when he could have gotten it done. The President has in fact spent the last three years being criticized by his party’s left wing for being too moderate, too willing to work with Republicans, and for not fundamentally altering President Bush’s strategies in Afghanistan and Iraq. The idea that was just a ruse designed to win a the second term when he’d unveil his real agenda is simply preposterous. It’s unlikely he’ll ever have a Congress as friendly to his views as he did from 2009-2011. 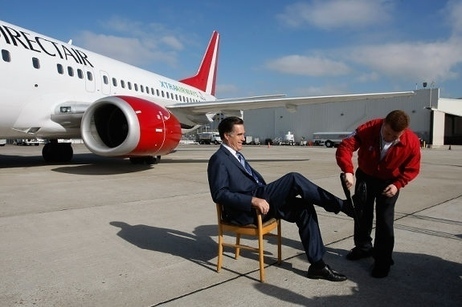 That demonstrates Romney’s difficulty. A lot of his base still have the 2008 campaign version of Obama in their heads — strange man, strange name, someone ‘not like us’ and potentially harboring anti-American or radical views. Movements like the ‘birther’ movement reflect that fearful reaction to a candidate so different from those of the past. Barack Obama represents what America is becoming, and the Tea Party movement in some part is driven by a nostalgia for the what America once was. 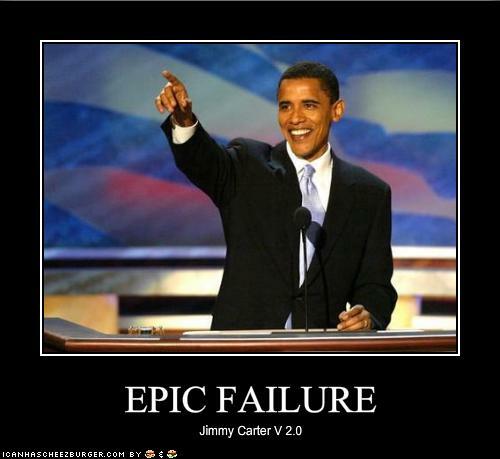 The Romney camp hopes to paint Obama as another Jimmy Carter, but Carter had far more foreign policy problems than Obama, and the election was at the start of a recession. But the last four years have proven Obama to be a pragmatist, and certainly not on the left wing of the Democratic party. On the foreign policy front, the 2008 Obama clearly lacked foreign policy experience. The McCain camp had a strong claim that we couldn’t turn over foreign policy stewardship to someone so inexperienced while the US was involved in two wars and engaged in a counter-terrorism campaign. McCain was a war hero with a long history of expertise on military issues. McCain blew that advantage by his response to a domestic issue: the economic crisis. While Obama seemed measured and calm, McCain suspended his campaign, decided to cancel the first debate but quickly changed his mind, and appeared ineffective at a White House meeting about how to respond to the crisis. McCain looked impulsive and even reckless, Obama’s calm demeanor garnered trust. Now foreign policy is a net winner for Obama, even while the right can raise numerous critiques. So expect Romney to go back to the “failed President” who is a “divider not a uniter” and whose policies “if anything slowed the recovery.” He can accuse the Democrats of “class war” and offer himself as a pragmatist who can unite. Simply, going after Obama personally isn’t going to work, it’ll make Romney look a little silly. He has to focus on competence, results, and presenting a strong alternative. 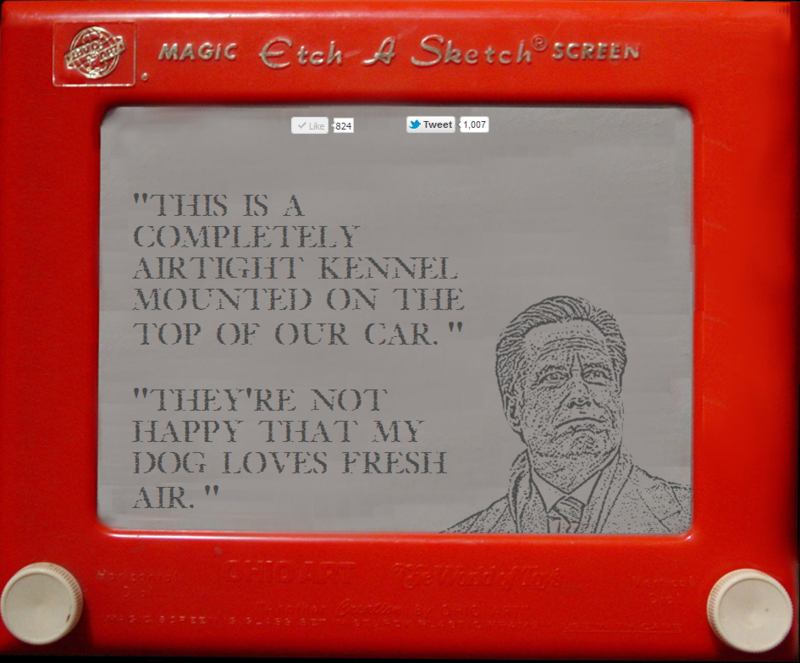 If people are still talking about the etch a sketch candidate and Romney's apparently cruel treatment of his dog (putting him a carrier atop the car on a long cross country trip), Obama will likely have it won. If Obama succeeds in defining Romney and the public perception by October is shaped by stories of Romney’s dog, clips of flip flops, and Romney as out of touch and not connecting, Obama’s chances for re-election are very strong. If not, Romney still needs to rely on the economy being at least soft in order to make his case. If the economy is seen as strengthening even slightly, Obama has the advantage. At this point the odds favor Obama, but the “definition game” remains crucial. 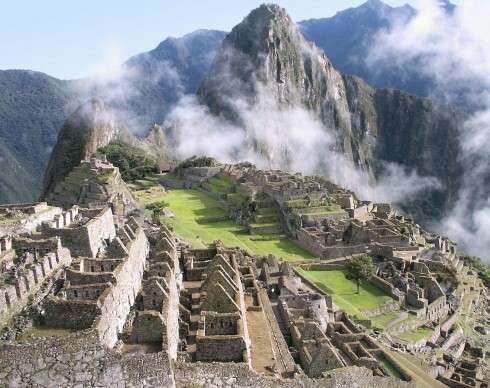 What treasures lie in our pre-history -- are there more Machu Picchus? 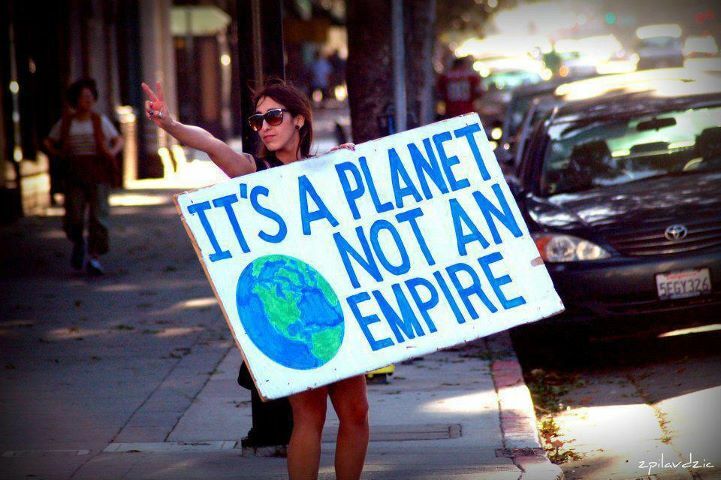 No, this isn’t a post about economics or Occupy Wall Street. It’s a post about human history. I’ve begun to read the book At Home by Bill Bryson, which is a history of “private life,” going through the development of homes, kitchens, food, etc. He makes a point in the book that gives me pause. The history that we know as recorded history — starting with the early development of agriculture and cities — is less than 1% of human history. The first homo sapiens appeared 250,000 years ago, our history is at best 6000 years, though only the last 2500 has reasonably reliable records (albeit only from parts of the planet). That means that 99% of history is hidden from us. Humans with the same cognitive abilities have been inhabiting the earth for a long time, but we have few clues as to how they lived. Humanoids with high levels of intelligence have been around millions of years. That raises two contradictory puzzles. First, what the heck happened during that “pre-history”? Were we simply hunter-gatherers eeking out survival in a world buffeted by ice ages and difficult conditions? Or were there civilizations and relatively advanced societies that rose and fell? Second, why did we develop so quickly so fast in the last 5000 years? There are other oddities. Apparently the foodstuffs we’ve inherited from those past civilizations, such as corn, required a tremendous amount of genetic engineering. Not in the lab like the stuff Mansanto does, but through trial and error, cross breeding, and who knows what else. Corn is not natural, it was a human creation. This means that past civilizations must have been very good at dealing with crops and foodstuffs. The fact we cannot “recreate” their processes (Bryson informs that a conference designed to determine the origin of corn disintegrated into acrimony and disagreement) shows that at least in those cases our knowledge may fall short of theirs. We currently define development and civilization in terms of materialism and consumption. We’re “civilized” because we have a lot of stuff. 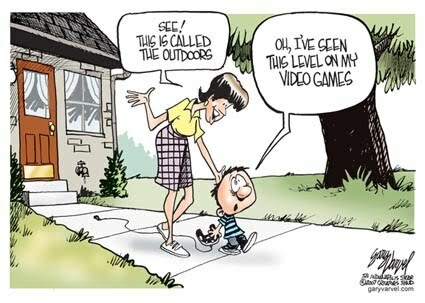 We have high definition TV’s, XBox’s, cars, highways, airplanes, computers, and grocery stores loaded with everything one could possibly imagine eating. We eat animals, but not in the way of our ancestors. Rather, we turn animals into objects we construct — genetically engineered and fed a particular way solely to get them to market quicker and with more meat. A product that just happens to be a biological life form. We’re so immersed in this materialist/consumption oriented view of progress and civilization that it’s hard to imagine societal development along a different path. We see 99% of human history as being a waste land where savages roamed the earth eeking out an existence with no meaning – mere animals (and don’t forget how we treat animals!) Only the last 6000 years have had meaningful existence, and the first 5000 of those are iffy. On it’s face that’s an absurd way to look at human existence and history, yet unless we take the time to shake ourselves out of the cultural fog that causes us to keep our eyes shut and simply reproduce the world we see around us, it seems natural to look at progress and development in purely material terms. Once we recognize that our materialist/secular rational western point of view is a cultural construct that programs us to value certain things over others it’s like we’re sleep walking, oblivious to other ways to understand and appreciate life. We may enjoy a walk through nature and feel a smidgen of something deeper — but how often to thoughts and stresses of the modern world even invade those moments? As Rousseau once put it: “man is born free and everywhere he is in chains.” We just don’t recognize the chains. So to borrow from Plato, what if we were to wake up, to be led out of cave and see reality — in this case to view the expanse of the human history we do not know because it was not recorded? The only way we can attempt that is through imagination. What if a society developed with sophisticated knowledge of plants, animals and nature, but without using the same lens of science that we use? Rather than breaking things down into chemicals and reducing knowledge to general processes, what if that knowledge was holistic, based on how things interact and what works in the world? What if all of the world was taken as valuable and not subdivided and treated as disposable, or a means to an end? Humans might be able to build sophisticated cities with plumbing, comfort and utility without having electricity or a major power source other than water and sun. Animals would be part of the community. People would still eat them, but in a way that respects the cycles of life and the animal’s role in nature. The same with plants – they would be used fully seen as valuable life forms in and of themselves. Knowledge about them would be prized and humans might know more about agriculture than we now know even with science. A sense of oneness between humans and nature could have yielded strong civilizations that persisted millennia without leaving a trace for us to find. Sophisticated oral histories and other forms of communication may have been developed. Perhaps they disintegrated, perhaps we don’t understand them. Imagine if our civilization collapsed — most electronic information would dissipate as the grid went down, if someone happened on a CD or DVD in the future it would be a bizarre shinny metal object, certainly not something bearing knowledge! In fact, if you think about it the idea that creatures as intelligent and sophisticated in thinking as we are roamed the planet for 247,000 years and then only recently discovered a path out of a primitive state is absurd. Moreover, our current lifestyle works against who we are — our bodies, nervous system and psychology is not geared for the modern stresses and pressures of the consumption oriented competitive world we’ve created. Our misguided approach to food is creating massive levels of obesity, diabetes and disease. We have constructed a world out of synch with the kind of creatures we are, and one that disconnects us from both nature and each other. Yet we are to believe that we are the pinnacle of civilization, that everything before us was primitive or savage. I find it more likely to believe that humans have lived in meaningful advanced civilizations throughout much of human history. As fallible humans in a changing world those civilizations have risen and fallen, and no doubt some were better and more successful than others. Looked at this way, I can’t help but wonder if the path we’ve chosen in the last one or two thousand years might not be one of destruction and decay rather than progress and development. Today is Easter, a day Christians celebrate due to their belief that a Jewish spiritual teacher named Jesus was actually the son of God, was crucified and rose from the dead, thereby granting Christians a promise of eternal life. While I am not a Christian (I do not subscribe to any organized religion, though I try to show all of them respect), the emphasis Christians put on forgiveness is very powerful. If people could learn to actively forgive the world would be a much better place. If you want happiness in life a good first step is to embrace the principle of forgiveness. Forgiveness comes on many levels. 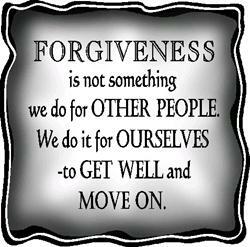 The first is to forgive others for causing us harm. That’s the kind of forgiveness most of us think of first. Some people have trouble with that. When they’ve been wronged they hold resentments, or believe that the other person has to make some gesture of attrition or regret before they can forgive. Moreover, in most disputes both sides interpret themselves to have been wronged more than the other, so with each waiting for the other to show regret and remorse, nobody gets forgiven. The secret is to let go and forgive anyway. If one takes the first step and reaches out the other person is more likely to respond and return the gesture. In some cases the other person can’t let go of resentment. There forgiveness is powerful in that it frees one from the emotions of the conflict. If the other person wants to wallow in anger and resentment, that’s his or her problem. That’s the power of forgiveness. Once you forgive you cease to allow others to have power over your emotional state. How often do we spend time frustrated, angry and upset about things others have done? People can give up hours of time each day to feelings of anger and resentment. Yet what is gained? That simply gives others power over our state of mind and turns what could have been a productive and contented day into one of frustration and irritation. Forgiveness allows us to deny others that power. We can let go of anger and resentment and engage in positive pursuits. Simply, forgiving others, even those who don’t deserve forgiveness, is in our own self-interest. The second type of forgiveness is to forgive mistakes. When someone unintentionally does something wrong or does harm the natural inclination is to be upset. “He should have known better,” or “if she’s holding a cup of hot coffee she should make sure it doesn’t spill.” Yet if it’s a mistake, even a stupid one that should have been avoided, there is absolutely no reason to be angry. If something is unintentional, then anger is misplaced. Forgive mistakes. To be sure, if you’re a boss you may have to fire or discipline an employee who makes too many mistakes. Forgiveness is a personal act, it doesn’t mean erasing proper consequences for mistakes. I can forgive a student for not studying before an exam and not think less of the student as a person, but the student still gets the grade he or she earns. Most importantly, one has to forgive oneself for mistakes, misjudgments, and misdeeds. This is the perhaps the hardest form of forgiveness for people to learn. 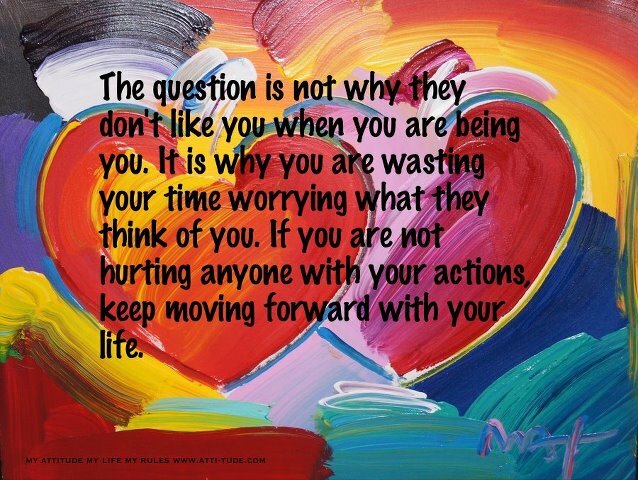 People beat themselves up over things that they did or did not do, and cannot let go and focus on the future. Mistakes, though, are the way people learn. Embrace mistakes as learning opportunities, and see repeated mistakes as a sign of what to focus on improving. One also has to forgive oneself for engaging in malicious misdeeds done out of anger and spite. I believe it’s only possible to accept the forgiveness of others if one has forgiven oneself. That is the first step. Moreover, most people rationalize misdeeds if they cannot forgive themselves for them. The inability to forgive oneself leads to people feeling victimized and justified in doing whatever they do. They don’t see that they are drawing such “persecution” onto themselves by their own unresolved inner conflicts. Self-forgiveness is essential for happiness. Some people treat forgiveness as some kind of difficult and hard to achieve ideal. 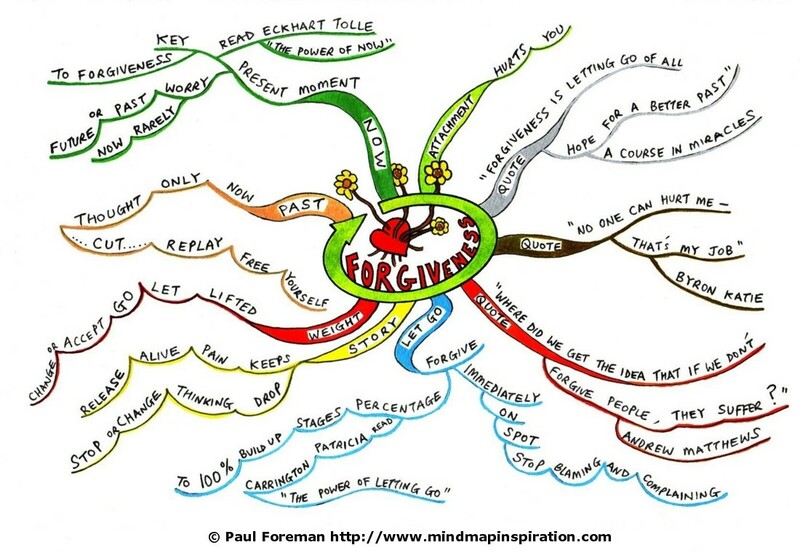 How often have you heard people say they want to forgive but can’t let go of a resentment or of anger? How many people refuse to forgive until the other person makes amends? How any people engage in self-loathing rather than self-forgiveness? Yet it is easy. To forgive one simply has to let go of the past, recognizing that since the past cannot be changed, dwelling on it serves no useful purpose. Learn from it, but don’t let it add emotional weight to your life burden. Forgiveness is an embrace of the present and acceptance of the past. The past cannot be changed, the present is our point of power to make change. We tie ourselves down and waste energy if our emotions are fixated on the past — we become unable to use our present power to improve ourselves and the world. Forgiveness is one of the most powerful acts a person can engage in. So while I don’t believe the theology and story line of the Christian faith, I celebrate their emphasis on forgiveness as the core of Jesus’ teachings. To me Easter is a reminder of the power and good that forgiveness brings. “These times are so uncertain, there’s a yearning undefined, and people filled with rage.